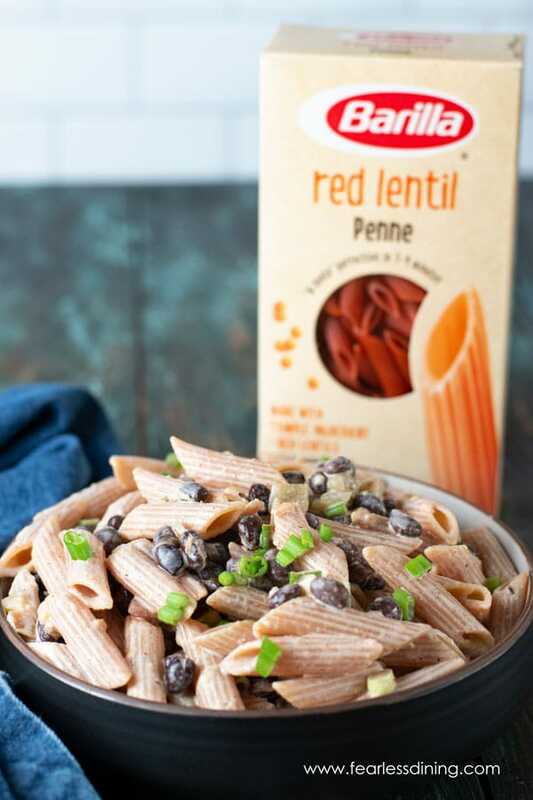 Al dente lentil pasta is the star in this simple gluten free pasta recipe. 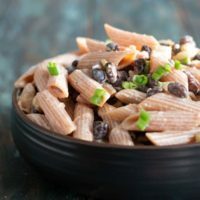 This pasta salad is full of black beans, scallions, roasted green chiles, and Mexican flavors. 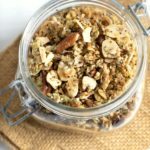 It makes a delicious healthy lunch or side dish. Spring is around the corner and I am so excited to share these easy gluten free pasta recipes with you! 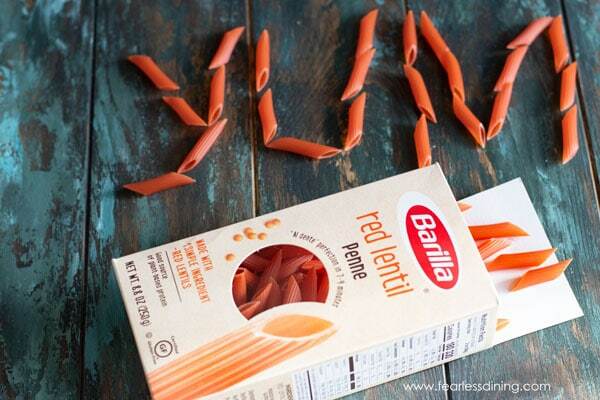 If you haven’t tried Barilla’s new single-ingredient kinds of pasta, you need to!! 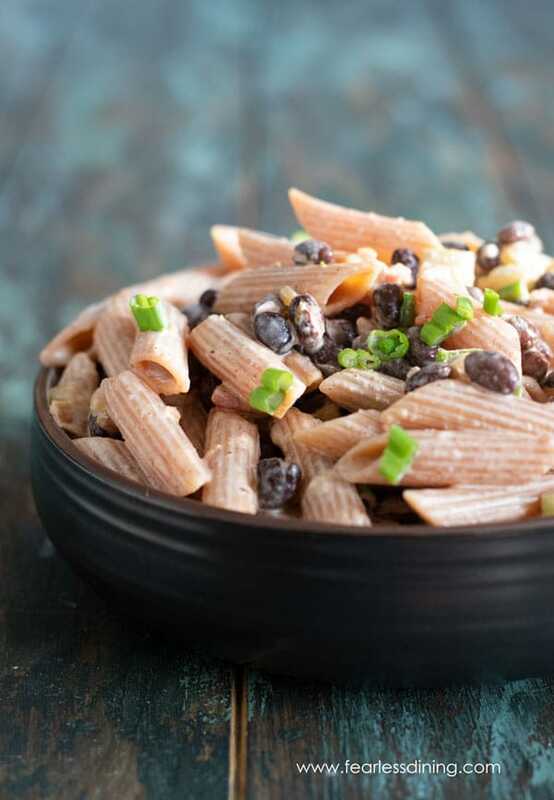 I have tried healthy legume pastas in the past, but none have stayed al-dente like this pasta! Barilla’s new pasta comes in either red lentil or chickpea. <= Easy ordering so you can try both vegan pastas! Are you ready for something great? Each pasta is made of either red lentil or chickpea…ONLY! 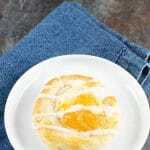 They are made with one easy to pronounce ingredient. You won’t find weird ingredients like Xanthan Gum in this pasta!! If you are a stealthy mom like me, this pasta makes hiding healthy ingredients so easy!! This pasta cooks firm and it has a real pasta flavor that will even fool your kids! Vegetarian Pasta Never Tasted Better! 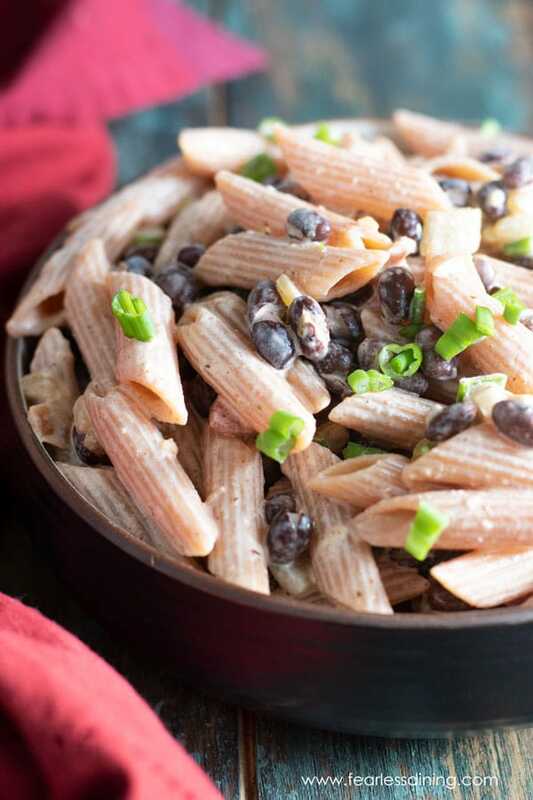 These lentil pasta recipes are not only naturally gluten free, but they are also vegetarian! I love being able to have an easy and healthy vegetarian lunch. This grain-free pasta holds up beautifully to sauces! You can enjoy this pasta cold in a salad as I made, or hot with pesto, marinara, or a garlic sauce! 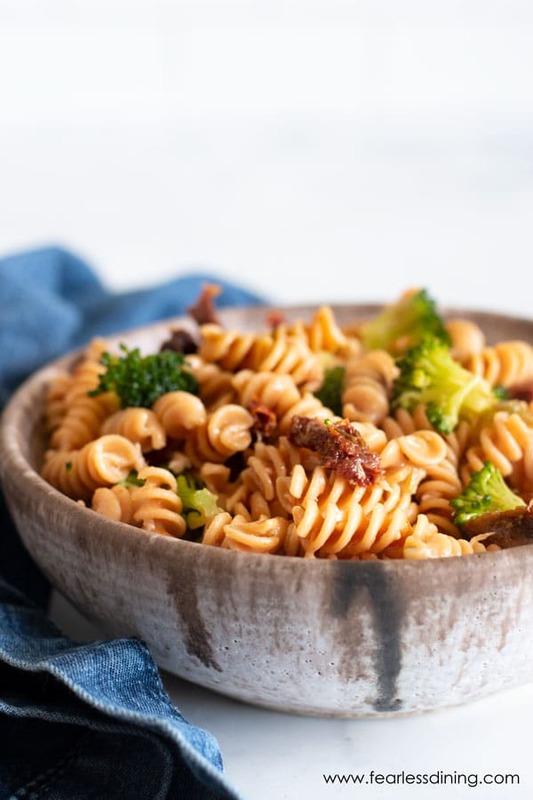 Are you ready to see how to make this red lentil pasta? The first step is to boil your water. I add one teaspoon of salt to help it boil faster. 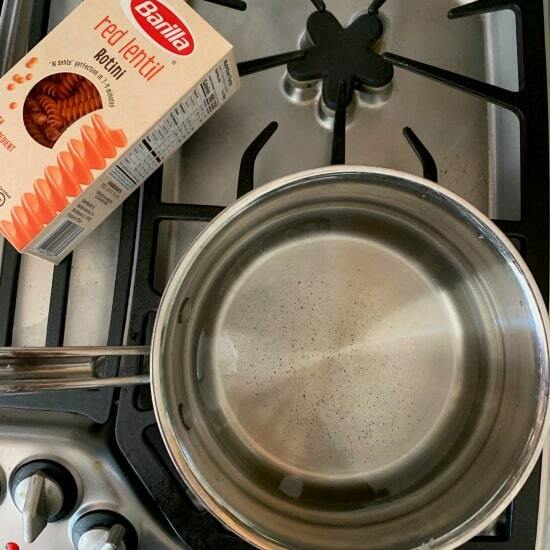 When the water starts to boil, add the Barilla Red Lentil Pasta. 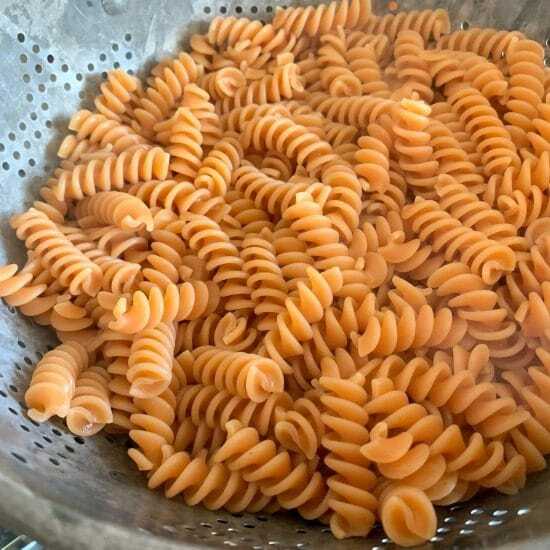 *Cooking Tip for Al-Dente Pasta: Here is my favorite tip to keeping this pasta al-dente…The secret is to do a cold water rinse after draining the pasta in the colander. If you leave hot gluten free pasta in a colander, it will continue to cook. A cold water rinse halts the cooking process so your pasta doesn’t overcook! 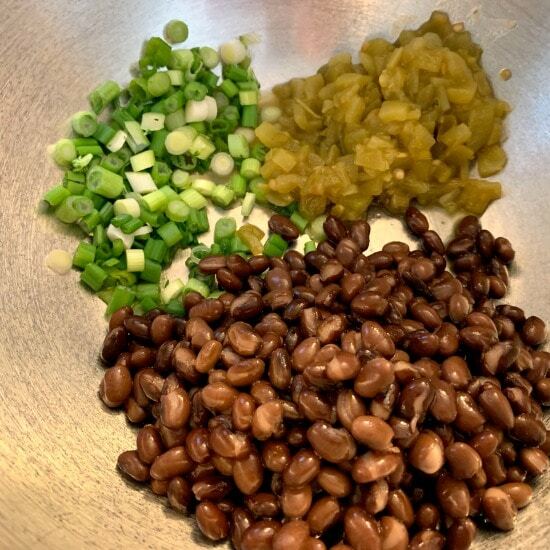 Add black beans, roasted green chiles, and scallions to a bowl. Mix well. Next, you want to mix the pasta salad seasoning sauce. Add Greek yogurt, salsa, chili powder, garlic powder, and salt/pepper. Mix and then pour onto the pasta salad ingredients. Stir and mix well to coat all of the pasta. Where can I take this gluten free pasta? 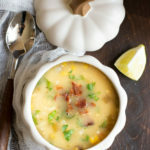 Want a bonus recipe? 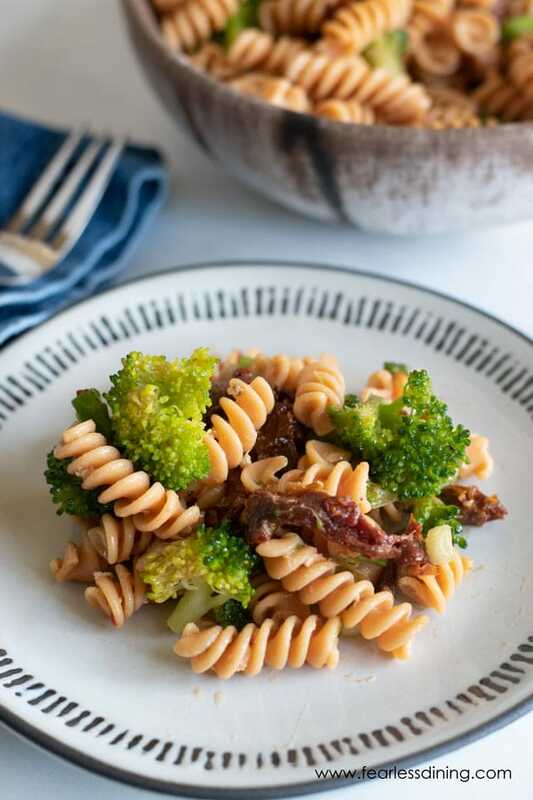 This Gluten Free Pasta has all of the good stuff, sun-dried tomatoes, broccoli, scallions…and YUM! An easy gluten free pasta salad that is full of Mexican flavors. This recipe uses a vegan red lentil pasta that is perfectly al-dente. Dump the pasta into a colander and run under cold water to cool off the pasta. Move the pasta into a large bowl. 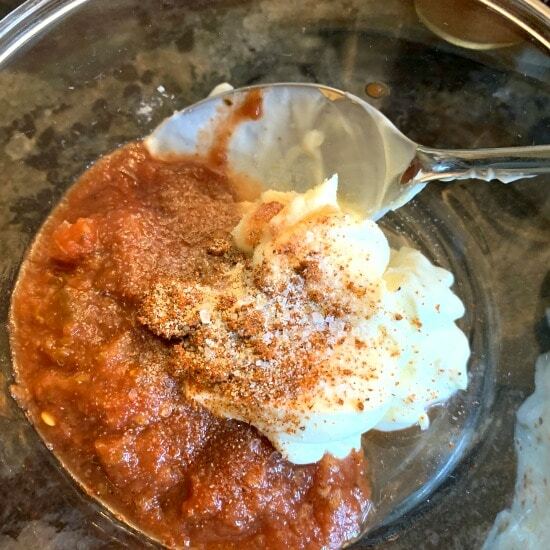 In a small bowl, add yogurt, salsa, chili powder, salt, and garlic powder. Mix well. Drain and rinse a can of black beans. Add the beans to the pasta. Add the green chiles and pasta salad seasonings to the pasta and beans. Mix well. Previous Post: « 17 Decadent Gluten Free Chocolate Desserts You Must Try! Made this for dinner last night, so flavorful! You would love it Dini, it stays firm…which is amazing. I will have to try this pasta. I usually eat Ronzoni gluten free which enjoy. The recipe sounds delicious!